CSC Services has access to various cementitious coatings designed as a stand-alone coating that will provide waterproofing to internal and external concrete and steel structures. Modern day cementitious coatings can be applied in thicknesses ranging from 1mm giving the equivalent of 100mm of new concrete cover. This aids in helping against water ingress and carbonation which attacks and breaks down concrete and then the steel reinforcing it encapsulates. There are also various cementitious coating products which are approved by the DWI (Drinking water inspectorate) in potable water retaining structures. Cementitious coatings can be applied by steel float, brush and spray. Cementitious coatings are also used as fairing coats or sealer coats for old or damaged concrete. 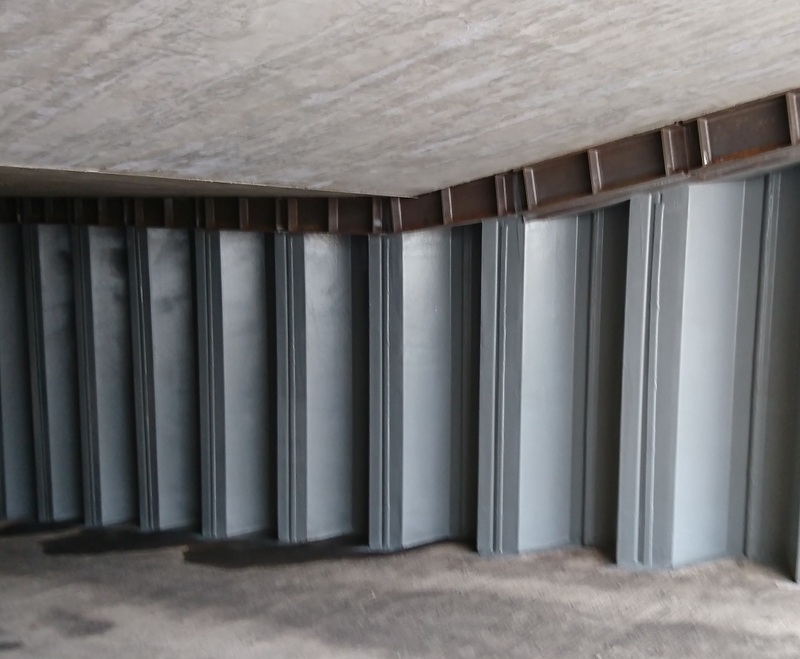 The fairing coat is used to fill out blow holes or voids in the surface of the concrete and in some cases to fill out the concrete returning it back to its original profile before a protective coating is applied. Call us today on 0191 410 3444 more information or impartial advice on the best cementitious coatings for your project. A Flexcrete cementitious coating system was sprayed on to steelwork in the Materials Handling Facility at Lynemouth Biomass Power Station for client Sir Robert McAlpine in 2017 – as shown in the image. With enhanced chemical and abrasion resistance the coating will guarantee the life-span of the steelwork at the plant for twenty years. Cementitious coatings were widely used in the 2017 Concrete Spalling Remediation Programme at Hinkley Point B Power Station for client EDF Energy. Over ten tonne of specialist repair mortars and structural strengthening products were used to rectify the degradation of reinforced concrete at various areas across the station. Cementitious coatings will protect the structures from moisture intrusion and further corrosion, reducing the need for ongoing maintenance work for the life of the station.